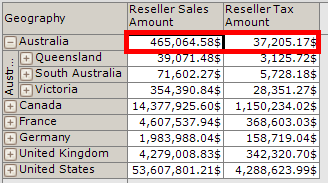 We are often asked "How to display totals by all levels?" 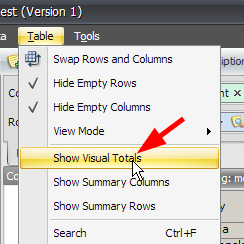 or "how to display totals by the values in the table?". Let us see some examples. The values aren't changed, as if nothing happened. 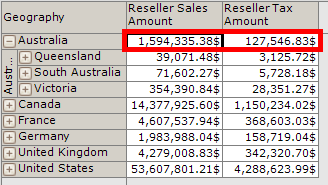 This is because by default the table shows physical totals which are in the cube. 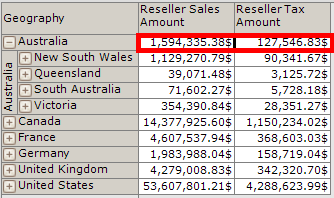 The values for Australia changed, and now it takes into account the selection made by user. This is a deprecated functionality which finds just the sum, no matter what kind the measure is. It does it on a client machine, instead of doing it on the server. 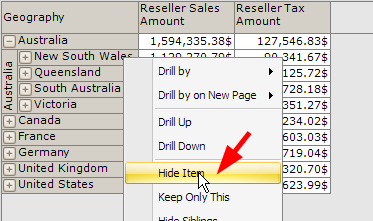 And choose what you need to look – visual totals, or physical totals. And if you do this, you will have CORRECT totals on every level. 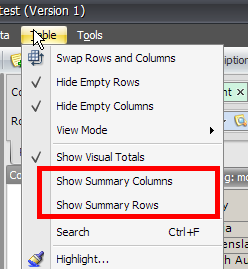 And please, FORGET ABOUT "Show Summary Rows/Columns" FUNCTIONALITY – IT IS AND OLD STUFF WHICH WILL SOMETIMES BE THROWN AWAY. Why do we still keep this old functionality? Cause people are asking not to remove it. We would do it long ago. 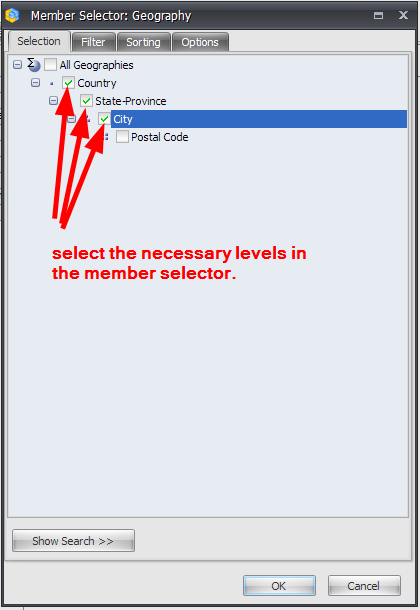 Use member selector to show necessary levels and use visual totals if necessary.